PATIALA, Punjab—Sri Akal Takht Sahib Interim Jathedar Bhai Dhian Singh Mand and others arrested on May 8 have been released. Bhai Mand, Bhai Mohkam Singh (United Akali Dal) and Bhai Paramjit Singh Jejeani were sent to the new District Jail of Nabha after their arrest by the Patiala police near Shambhu Barrier during their way back to Punjab from pilgrimage of Five Takhts. 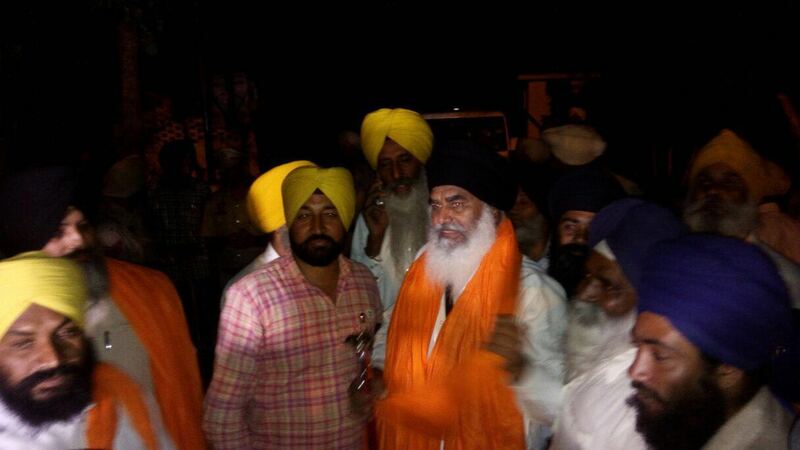 All three were released this evening, May 10, from the Nabha Jail. Bhai Mand and others were indicted under sections 107/151 of Code of Criminal Procedure and produced before the Sub-Divisional Magistrate of Rajpura yesterday. The SDM had sent them on judicial remand in Nabha Jail for 1 day. Bhai Mand was scheduled to visit Sri Darbat Sahib in Amritsar today. A heavy police deployment continued on the outskirts of Darbar Sahib as the SGPC feared retaliation by Sikh Sangat. Protests were seen against the Government across different places in Punjab. The Punjab Government had to face growing wrath of Sikh Sangat in places like Patiala and Tarn Taran where Sikh youth climbed water and mobile towers and raised slogans against the Government. Bhai Mand and Bhai Mohkam Singh’s re-arrest had triggered Sikh leaders to express anguish over the Government. Several leaders condemned the act. S. Paramjit Singh Sahauli (President, Akali Dal Sutantar) alleged that the ruling Akali-BJP government was committing atrocities on the Sikh activists as per directions of the Rashtriya Sikh Sangat and the BJP. Bhai Mand, along with other Sarbat Khalsa appointed Jathedars were returning to Punjab after having paid obeisance at Patna Sahib and Hazoor Sahib when they were arrested. After paying homage at Patna Sahib, Bhai Mand and other Jathedars arrived in New Delhi and were welcomed there by the Sikh Sangat. All three Jathedars are currently on tour of the five Takhts. They were planning to pay homage at Sri Darbar Sahib and Akal Takht Sahib in Sri Amritsar on May 10. On May 6, Bhai Mand had told Sikh24 that Sarbat Khalsa Jathebandis will be established Akal Takht Sahib Secretariat in Amritsar. Bhai Mand had told Sikh24 that the secretariat office would allow Sarbat Khalsa Jathedars to provide guidance to the Khalsa Panth on various issues. As per internal sources within the SGPC, Sikh24 has learned that SGPC executives were not happy at Bhai Mand’s move to establish a parallel office to Akal Takht Sahib’s secretariat. SGPC is currently also tasked at elevating security around Sri Darbar Sahib for June 4 shaheedi samagam.